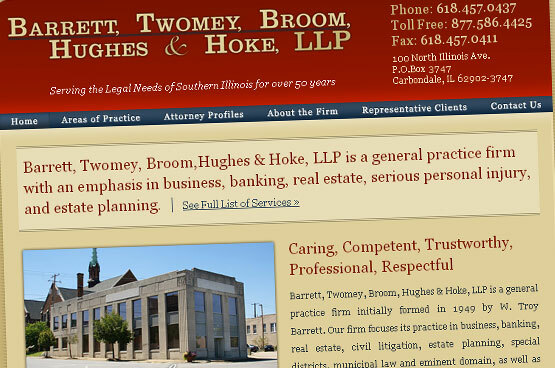 Barrett, Twomey, Broom,Hughes & Hoke, LLP required a full package of design and web development services. 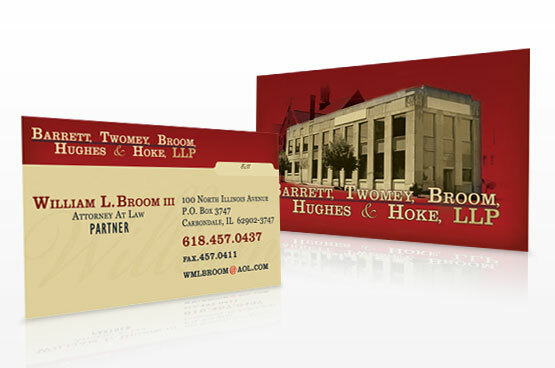 We provided them with a classy branding for their business cards, letterhead, envelopes, and a website that all kept a consistent theme. 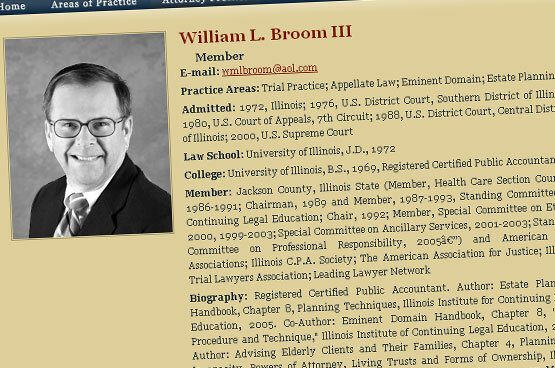 Looking professional but standing out is a fine line to toe for businesses in the legal system. 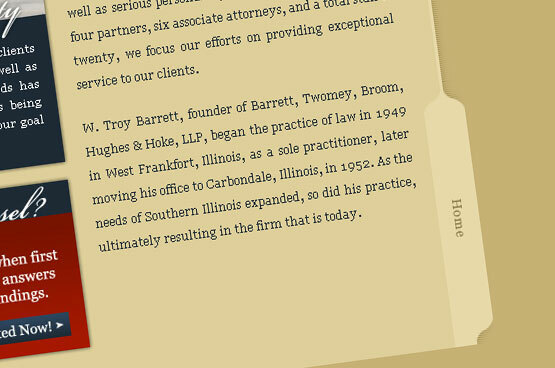 For BTBH&H, we used the shape of an envelope for the page information and used classy fonts combined with bold colors. The result was just what they needed! ©2014-2019 The Vertebrae Group. All rights reserved.